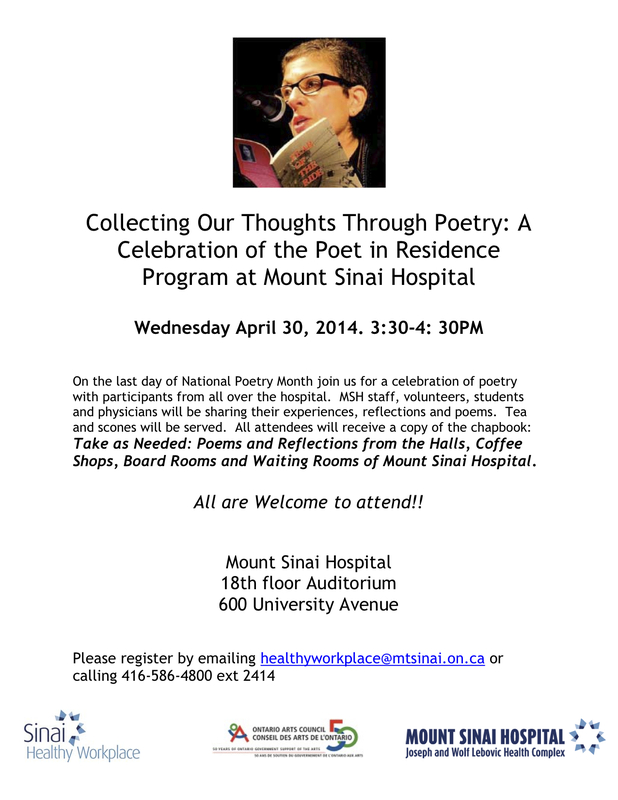 On the last day of National Poetry Month come to a celebration of poetry with participants from all over the hospital. 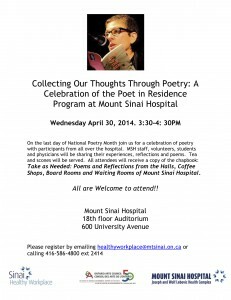 MSH staff, volunteers, students and physicians will be sharing their experiences, reflections and poems. Tea and scones will be served. All attendees will receive a copy of the chapbook: Take as Needed: Poems and Reflections from the Halls, Coffee Shops, Board Rooms and Waiting Rooms of Mount Sinai Hospital. Have a look here for more information about this event and the Poet in Residence Program.